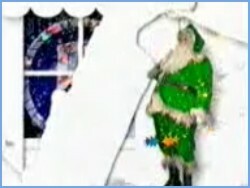 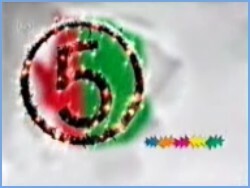 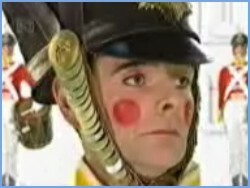 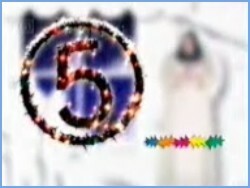 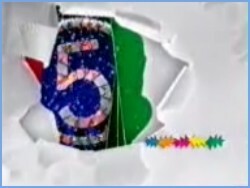 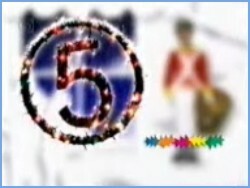 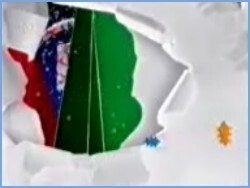 The festive idents of 1999, with celebs replaced with santas, angels and soldiers. 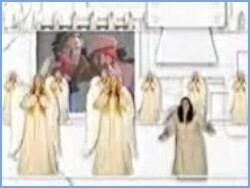 As angels are mass produced, one non-generic one is selected to be placed on the tree. 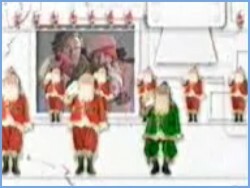 In the mass production of Santas, one faulty coloured one is selected. 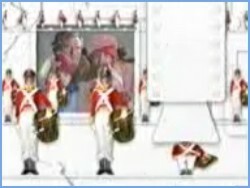 A solider is selcted and placed on the tree.